Review by Tabitha Black | Visit America's Largest Goodwill Halloween Store right in Spanaway! Visit America's Largest Goodwill Halloween Store right in Spanaway! I love thrift store shopping, you can find amazing things for great prices not to mention less stuff goes into the landfills. We've bought costumes and Halloween/Fall decorations from Goodwill many times but I had no idea that there was a WHOLE entire store of only Halloween, right here in the Puget Sound. 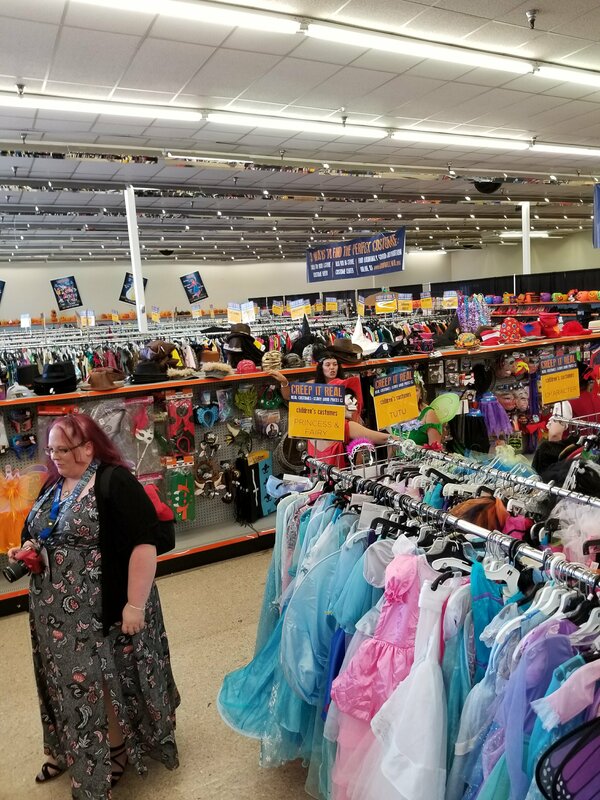 Spanaway has America's largest Goodwill Halloween Store and it's open now until October 31st! 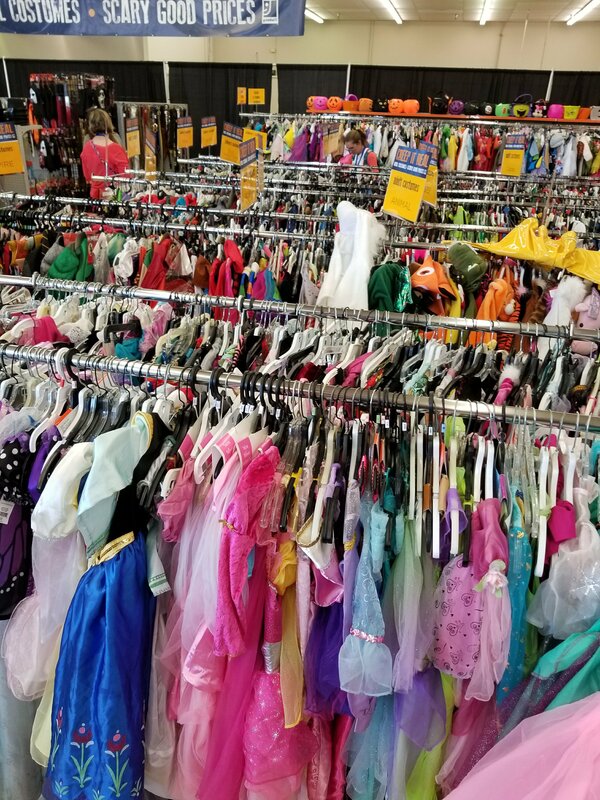 They have a large selection of new and used costumes - children and adult sizes, costume accessories, decorations and party stuff for Halloween and Fall!! All at great prices. Very large selection of children's costumes. An even larger selection of adult costumes! Piper and I were able to visit the store this week and check it all out. Everything was so well organized, the rows of costumes are all labeled in categories(ex. fairy costumes, princess costumes, superhero). It is literally a full size store of Halloween items, so be sure to check it out when you're shopping for costumes this year! You can find something for everyone. We plan on going back this weekend to shop for costumes with Mason and I could always use more Halloween decorations for the house. DIY Costume - Can you guess the character? Hint: My family loves Disney!! 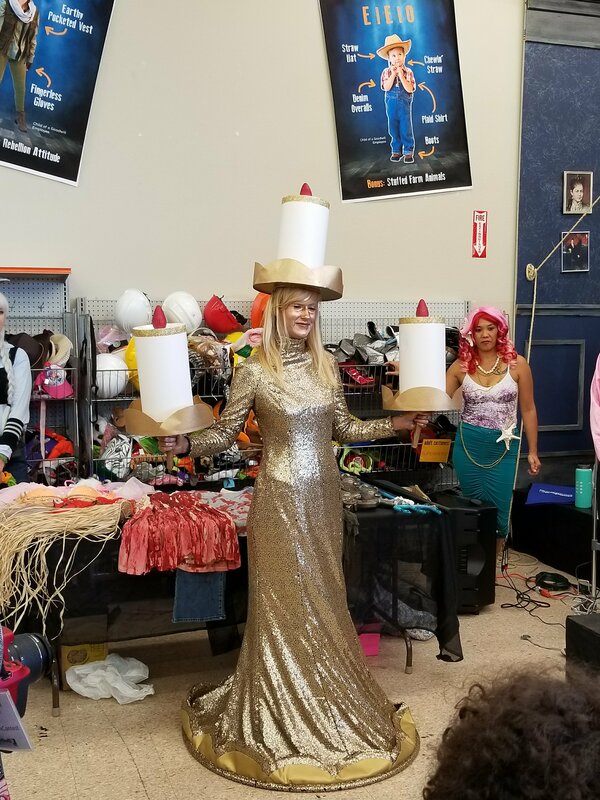 If you can't make it to the Spanaway Goodwill, be sure to check out your nearest Goodwill's Halloween collection for great prices. If you are looking for costume inspiration, check out Goodwill.com they have plenty of ideas.